There are few plans that can sound as enticing as a comfy couch, a captivating series of shows and something delectable to pick at. But what will you wear? Wait-Did you just roll your eyes at me? I know, I know you are not getting decked to hang on the couch and we will be lucky if your socks match. I love the idea of comfy gear being suitable for one turning into a human vegetable around the house but also stylish enough to take it to the streets. Which brings us to this sweatshirt. I’ve been wanting a cute sweatshirt to rock when we hang with friends on a random Friday and we do BYOB or when I am running around on a Saturday morning but don’t feel the need to be in straight-from-the-gym Lycra. This piece is stylish, has a cute saying- I mean who can argue Rosé? AND IT IS INSANELY SOFT. INSANE I TELL YOU. The brand also ties itself to projects helping their community and the world, so that’s another reason to feel warm and fuzzy. SO are you feeling the rosé life and comfy sweatshirt styling? 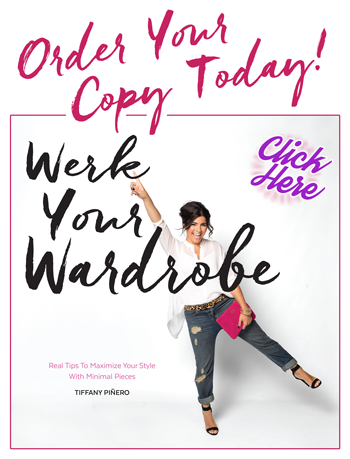 As always- if you want to enlighten myself and the style community with your style, share here: @TiffanyPineroStyle on instagram |@TPineroStyleon Twitter |\TiffanyPineroStyle on Facebook!